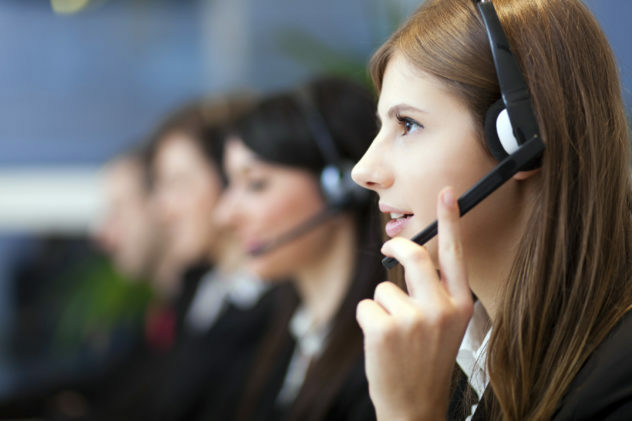 Are You Sabotaging Your Company’s Customer Service? If there’s one business aspect that most organizations understand the importance of but don’t spend enough time improving, it’s customer service. Many companies seem to believe that a single bad customer experience only impacts business with that company or person. Nothing could be further from the truth. The impact of poor customer service is like an iceberg in that it is far greater than what you see at first. Not only do unhappy customers end up going elsewhere with their business, but most report their mishaps to other potential customers — causing companies greater loss of potential revenue. Taking a pro-active approach to customer service is the best way to ensure customer happiness and business prosperity. If your customer service department displays any of the following behaviors, it’s time to rethink the way you do business and the people you hire to communicate with customers. When a customer is waiting to hear back from you, don’t make them wait or contact you again to get the information they are looking for. Follow up early and often to remain in good standing with customers. They’ll appreciate the effort you are making to communicate with them. You expect your customers to be understanding and flexible when something adverse happens on your side of business dealings, so you should be the same in your dealings with them. That’s not to say you should cater to outlandish needs, but being flexible shows that you value their business — an important component to great customer service. One of the worst things a company can do when dealing with customers is to not be friendly. In a time where customer service experiences (both good and bad) quickly go viral, companies should know that the best thing they can do to improve customer service is to treat customers with kindness. There are a lot of other businesses they can choose to go to, so don’t think for a second that they won’t go elsewhere after even one poor experience. Don’t let poor customer service sink your company. Begin evaluating your customer service efforts and building a plan for improvement. And remember: “Your most unhappy customers are your greatest source of learning” (Bill Gates).